I know there are several of you with children who are gluten sensitive - or who are gluten sensitive yourself - so I thought it would be a great idea to develop an Edible Gluten-Free Playdough. The thing I love about it is that it is a super easy no cook edible recipe that produces a great playdough - so even if the presence of gluten isn't a problem for you or your baby or toddler - you may still enjoy the ease of this recipe! And it produces a super fun safe and edible dough that easily takes on color to create vibrant colors. It took me no fewer than six tries to get this recipe just right, so I hope you all love it! First off we smooshed our rainbow dough balls flat. The playdough is nice and soft and pliable just like our go-to cooked (gluten containing) playdough. The kids really liked squishing the dough. Meanwhile S, ever the baker, was busy at work creating "cookies". She took several dough balls, smooshed them up and then rolled them flat. Using a cookie cutter she made two star cookies and here she's using the handle of the roller to make faces on each. Rolling her happy faced star cookies just a liiiiitle flatter to make them just right. After making the star cookies, she wanted to try punching cookies out with a cup. She used our rice cooker cup to make several vibrant multi-colored puffy "cookies". And like any great playdough, our Edible Gluten-Free Playdough works fabulously with a playdough extruders (seriously - that is what they are called. Totally weird, right?). The dough will keep for several days in the refrigerator. Store in a sealed container or bag and please check for mold or a yucky smell before using it each time (how long it takes to spoil will depend on how clean your kiddos hands are and how warm it is where you live, etc, etc). You will find that the dough is stiffer when it first comes out of the refrigerator - if you knead it to warm it up, it will soon be back to its normal pliable self! If necessary - wet your hands with some water and knead that in. Click the photo below to buy it on Amazon or click here to read more about our book! This is awesome! My littlest man breaks out in hives at the mere touch of gluten, so this is such a wonderful recipe to keep on hand for him! I will note (even though most of your readers who know gluten sensitivity will pick up on it in the store) that the only kind of baby cereal that does not contain any gluten is organic brown rice cereal. Both brands that my local WalMart carries are gluten free. Ohhh, poor bubba!!!! That is so strange! The box of baby rice cereal we used (and linked to in this post) claims to be certified Gluten Free on the container??? But either way - it should also work with brown rice cereal! Rice in all forms does not contain gluten. Rice, like oats, is naturally gluten-free but may get contaminated via shared equipment. What colorings do you use? Have you tried carrot juice, beet juice, etc? Or you just buy the food colorings at shops? Hi leva! 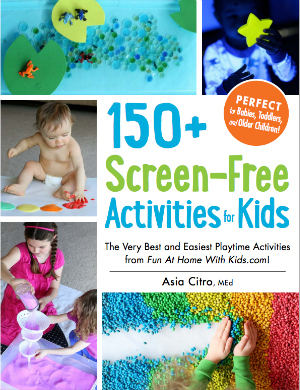 In this post I use food coloring, but you can find the recipe for naturally colored dough (and how to make natural food colorings from food) in my book 150+ Screen-Free Activities for Kids (available worldwide). I hope that helps! Yay! Thank you, Jillian! 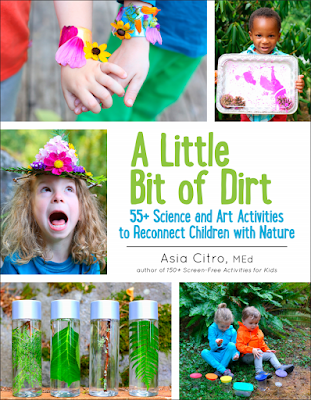 Hope you and the littles love it! More often then not my kiddos like to keep some of their creations, would this recipe stay solid enough if baked or would they fall apart/crumble? Looks great! Could I ask which food colouring you used? It's so vibrant! Wow!! This is absolutely wonderful.. Thank you for sharing this wonderful blog with us. Thanks for sharing. I just made a double batch and it turned out really oily. Wondering if you have any suggests on making a double batch. Hm, we've made double batches and they've turned out OK? I would be sure to knead well for 2 minutes at least. It does have a higher oil content than gluten containing dough to ensure that it isn't sticky. You could also try adding more rice flour to dry it out a bit! Thank you for sharing the post!! It was a wonderful share..
Great recipe. My 2 year old son has celiac and this recipe is perfect for him! Do you think I could add a package of Kool Aid in place of food coloring? Yep! I would mix it in to the wet ingredients well before combining with the dry. It should work just fine! Thank you so much for sharing this! My nephew has a sever allergy to Gluten and was so excited to come over to my house and be able to play with this with my three kids. A complete hit! This seems to just be getting more and more sticky as I have slowly added over another cup of rice cereal... awful mess. Any suggestions? Oh nooo! I would add more oil. The oil will help with the stickiness. So sorry it's giving you trouble! Mine stayed pretty sticky as well and I found that using more cornstarch helped unsticky it pretty fast when the rice cereal didn't seem to be working. Great advice, Rochelle! It's definitely the rice causing the stickiness, so great idea to counteract with more cornstarch! You're amazing. These pics are gorgeous. And I am so doing this for my play group. THANK YOU! Do You Know If I Could Just Grind Up Some Rice Instead Of Buying Baby Cereal? I am not positive - only because I'm not sure if the baby cereal is made from already-cooked-rice. I'd say it's worth a go - and let us know if it works! Hi Asia, do you think this would work with other baby cereals? Not gluten-free, obviously, but I have some whole grain baby cereal kicking around that my youngest quickly lost interest in and would love to do something more than just throw it out. Hi Mandy! I think it should work, but not positive. I'd say it's worth trying! Let us know if it works! It worked out pretty well! This one might be just a bit TOO tasty for my youngest, though! He was so cute in the photos! Hahaha nutrition and play all in one, LOL! 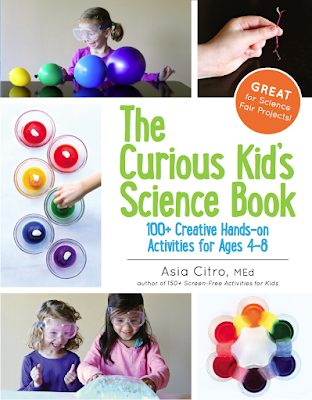 Does the food coloring cause stained hands or surfaces? We used liquid watercolors here because those are washable, but in the past with food coloring, no we haven't had that problem. If you're worried about it, you could always make pastel colors with less food coloring and it would reduce any risk. The only way I could see it causing trouble is if you kneaded the food coloring in at the end and added a LOT. Then it may come off on hands. But with well-mixed dough we've never had an issue. Hope that helps! I was so excited to try this with my little one but when I mixed it up, all the oil started to separate from it and ooze out. I tried adding more rice cereal and it just got worse! Help, what did I do wrong?? Hmmm. I'm honestly not sure because I've never had this happen! Was it like regular playdough and then once you let it set, the oil oozed out? Or was it right as you were first mixing it? If it was right when you were first mixing it, it might just be that you didn't knead it long enough. It looks really weird and gross for the first minute or so. After you knead it long enough I guess the bits of applesauce and rice cereal break down and it becomes really smooth. Let me know if I can help more!!!! It was incredible at first, perfect texture very smooth and pliable. Then as I was playing with it, it started to disintegrate and the oil came out. I bought more ingredients today so we're going to give it another go and see what happens! Weeeeeird!!! I have no idea! We've played with ours for hours - and no leaking oil. That texture sounds right - let me know if it does it again. I am baffled! So if the kids just wanted to eat the whole thing they could? Hi Melanie! That should be fine - though it may mold more quickly with the sugar there to feed it... So I'd keep a very close eye on it after about the first 12 hours. Hope that helps! Mine was very crumbly and still feels wet from the oil. I did use coconut oil instead of olive. I added more rice cereal but still quite crumbly. Any idea why? Hmmmm. I am not sure why it would be crumbly - ours does start crumbly, but after a few minutes of kneading it's very smooth. Any chance it's cold enough there that the coconut oil is partially solidifying? That's the only guess I've got. 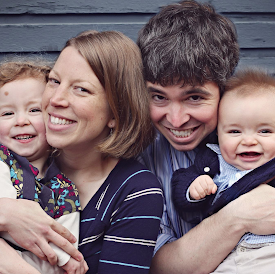 If you can send me a photo, I might be able to help troubleshoot a bit more - funathomewithkids@gmail.com. Can't wait to make this today! I tried this today, and it was a great texture. I was prepping it for later in the day, so I put it in the fridge, and it turned hard as a rock. I tried kneading it, added a little water, even nuked it to heat it up just crumbled apart. :( any ideas? I bet you could add cream of tartar to it, and not need to put it in the fridge. Unfortunately it's a matter of mold. If we added a lot of salt to it, it would probably be OK at room temp - but that would make it inedible. Actually, it would be edible, and the taste would discourage eating. :) I was also thinking that using water instead of applesauce (which you offered as an option) would hold off the mold better. My no - cook playdoh recipe uses cream of tartar. I don't know if that's gluten free, but it might work in place of the cornstarch and prevent the crumpling? I would imagine the recipe I use would work just as well with rice flour as wheat flour, but might need a little tweaking of water content. hello, i would like some info. it must be kept in the fridge only? cannot be kept outside of the fridge? Oh that's so awesome!!!! And also I love the game - we'll have to try that! This looked so good that I just had to try it. However I used gel food coloring - bad mistake! I have been scrubbing my hands and they are still bright red from kneading the dough. After doing a search online, the only thing that will effectively take it off is washing my hands with bleach! I am soooo glad I did not give this to my kiddo! Bleaching her little hands is the last thing I would want to be doing! Please make an alteration in your recipe to save other parents the frustration I am dealing with. After reading some of the comments I see you used water colors - much better! Wish I had seen this earlier. Maybe you can add that into the actual recipe. Thanks. Awesome recipe. Perfect consistency. I used it as party favours for my 1 year old's first birthday party. Oh what an awesome idea for a party favor! Love it!!! I'm pretty familiar with gel food coloring--I'm a cake decorator. Gel coloring comes off your hands with soap and water. The pinkish tinge that might still linger after kneading in red wears off by the next day. DO NOT USE BLEACH ON SKIN! Mixing the gel color into the applesauce before making the dough will aid in not having color left on your hands. Anyway to get this to keep longer? Eating playdough has not been an issue, but we're happy to find and make a no cook playdough that does not require a lot of ingredients. Our 2-1/2 daycare toddler enjoyed trying to help knead the playdough. Thank you for sharing your edible gluten free no cook playdough. Hi cann this be done using flavoured baby porridge? As I have some left over that my baby doesn't like. The banana/mango may make it stickier and/or more prone to molding -- but it should otherwise work I think! Hmmm, that's very strange! Adding more oil should get rid of the stickiness....what brand of baby cereal did you use? Was there anything added to it? Asia, We went to highschool together or was it middleschool! This is Rachel Velen, you may not remember me, it was that long ago. Your blog is AWESOME. Thanks so much for sharing. 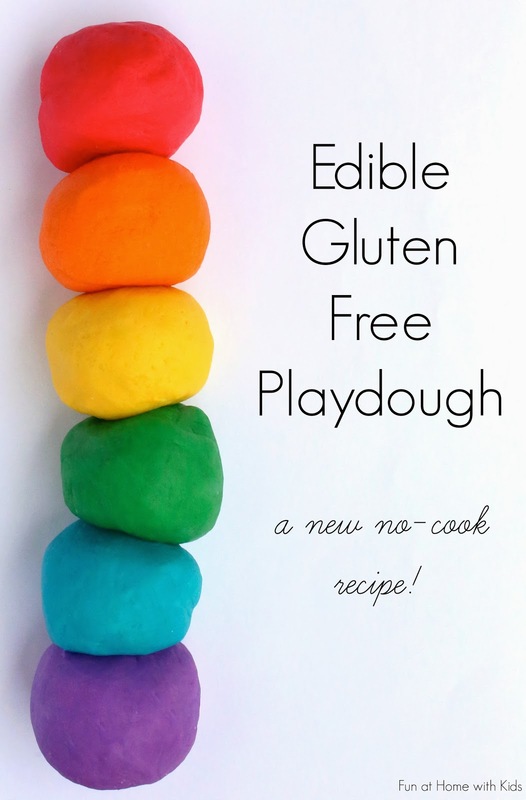 I am an Occupational Therapist and googled non cook gluten free playdough and your blog came up, I am going to try this tomorrow before I try it with some big kiddos. RACHEL!!!!! HI!!!!!! That's so awesome! I love that you found my blog and I love that you're an OT. I hope you love the recipe! There's another really awesome gluten free recipe in my first book (it's a cook recipe and not edible, but it lasts for 4-6 months) in case it would be useful. Most libraries have it! Thank you so much for the fun comment!!! Can you use Extra Virgin olive Oil? If I were to make a double batch and freeze half, do you think it would be alright post-defrosting, if I kneaded it well after? I think so, but it may be a bit dried out. You may need to add some more water and/or oil to loosen it up once it's thawed.